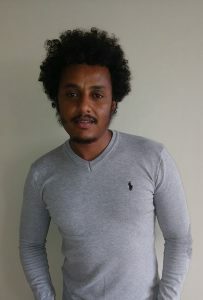 Natei Ermias Benti, born in Horo Guduru Wollega Zone, Shambu town, Oromia Region of Ethiopia is a doctorate student at the Center for Environmental Science, College of Natural and Computational Sciences, Addis Ababa University, Ethiopia. Benti’s focus is in the area of atmosphere, energy and climate change. 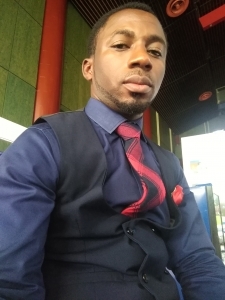 A member of the Mentoring for Research Programme (MRP) of the International Support Network for African Development (ISNAD-Africa), in this chat with KINSGLEY JEREMIAH, Benti shares the highlights of his experience under MRP. He equally discussed leeway to sustainable energy and climate change in Africa, particularly in Ethiopia. How do you feel being a member of the ISNAD-Africa mentorship for research programme? I’m proud to be a member of such wonderful organisation. 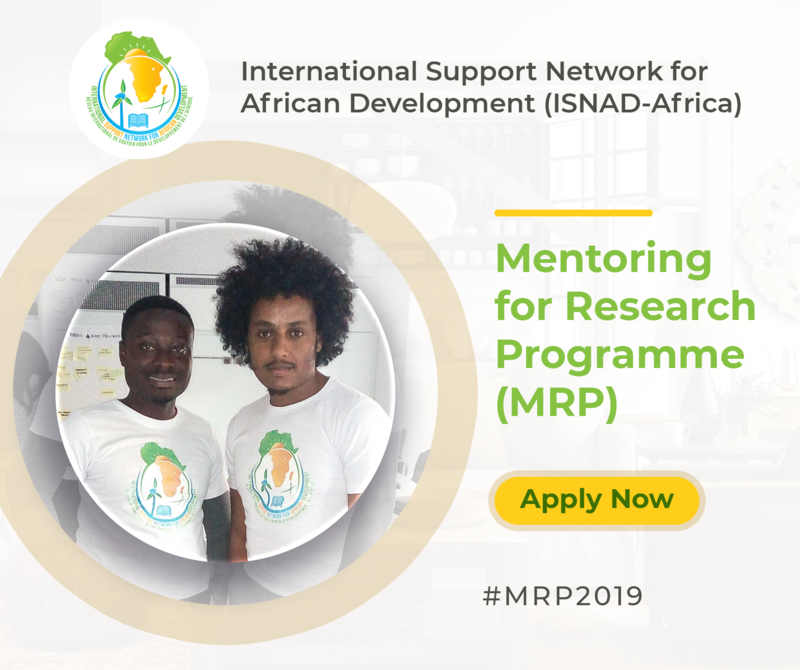 I am also grateful to be one of the PhD students being supported by ISNAD-Africa through the Mentoring for Research Programme which affords me technical support for my doctoral (PhD) research from Prof. Marta Molinas, my mentor on the programme. Through ISNAD-Africa, I am also excited to be one of the two mentees in the 2018 cohort of Mentoring for Research Programme who have been offered Fellowships funded by the German government to participate at the 76th UNEP/UNESCO/BMUB International Short Course on Environmental Management for Developing Countries – Renewable Energy Sources and Energy Efficiency (SC76) in November (2018). The one-month fully-funded residential programme is organised by the Centre for International Postgraduate Studies in Environmental Management (CIPSEM) at the Technische Universität Dresden in Dresden, Germany. I remain very grateful to ISNAD-Africa for the support for my academic and career development. Can you narrate your experience under the programme? How did you become a member? Has the programme been worthwhile for you? What are the prospects and challenges? I became a member of ISNAD-Africa last year. My research adviser in Addis Ababa University told me about the programme. As a member, I have attended three seminars that related to my research and I have been certified. I was selected as a member of the programme, not only by completing the seminars successfully but because my research is in line with the purpose of the ISNAD-Africa programme as well as rural development and off-grid electricity. The programme has also given me leverage as beneficiary of a one-month course at Dresden University, Germany. This opportunity offers real time experience, especially learning from other African students. This will improve my research work and benefit my country. The mentoring programme established a technical mentoring support for me with Prof. Marta Molinas at the Norwegian University of Science and Technology (NTNU), Norway; who provides technical mentoring support for me on my research. The programme also gives me access to necessary information and motivates me as well. What is your take on the newly launched Waste-to-energy Reppie Project in Ethiopia? My background research experience is more focused on wind and solar. The structure of the Ethiopian government did not prioritise researchers, who specialise in wind and solar. The best one could do was to lecture. But thanks to the new prime minister, the narrative is changing. Waste to energy recovery is the transformation of degradable and non-biodegradable waste resources to serviceable heat, electricity, or fuel by different methods, comprising combustion, gasification, pyrolysis, anaerobic digestion and landfill gas recovery. Population growth, urbanisation and economic progress are likely to yield growing amounts of waste overloading present waste managing schemes. The population of Ethiopia is growing at a rapid pace. In 2000, the population was 63.5 million; the current population is more than 100 million, second largest in African countries and by 2025 projected to be more than 125 million. In 2017, a landslide on Koshe dump site killed 114 people, prompting the government to declare three days of mourning. But the new Reppie waste-to-energy plant is set to transform the site and revolutionize the entire city’s approach to dealing with waste. I hope Reppie will serve as a model for other African countries. How will you rate the penetration of Renewable energy in Ethiopia? Ethiopia has large potential of hydro, wind, geothermal, wind, solar and biomass as indigenous energy resource. Ethiopia is said to be the water tower of eastern Africa and country’s hydropower potential is estimated up to 45,000 MW, next to Democratic Republic of Congo in Africa, but so far only 20 per cent is exploited. To secure its surplus energy demand, Ethiopia has engaged itself in unprecedented multimillion dollar energy projects in recent years, including a number of hydropower plant projects, like, six GW Grand Ethiopian Renaissance Dam on the Blue Nile river. About 98.94 per cent of the generated energy comes from the ICS system while remaining 1.06 per cent is from SCS. Looking on the share of total installed capacity of the country’s power plants, only 3.51 per cent of the total generated energy comes from Diesel; the rest is from clean renewable energy resources with 88.25 per cent from hydropower plant, 7.49 per cent from wind power, 0.58 per from biomass (Reppie Waste-to-Energy) and 0.17 per cent from a geothermal plant. What must we begin to change in Africa to mitigate climate change? Africa and world generally has continued to bare the effects of the variation in weather patterns known as climate change. Although climate change presents a challenge worldwide, it is more of a threat to Africa because of its high level of poverty, its farmers’ dependence on rainfall, its weak infrastructure and unavailability of technologies to cope and adopt effectively. Africa has done little to cause global warming- its greenhouse gas emissions are only 4 per of the world’s total. But it is already facing the worst effects of climate change. Africa is also socially and economically dependent on agriculture yet the above mentioned tragedies have led to a decrease in agricultural production and therefore, food insecurity. Climate change is expected to worsen the situation by exacerbating hunger and malnutrition. Climate change mitigation involves reducing the impact of climate change effects and global warming by reducing emissions of greenhouse gases to the atmosphere. As my understanding, the most effective and efficient mitigation strategies for Africa are: phase out fossil fuel subsidies or increase reliance on renewable energy sources, Afforestation, reforestation and sustainable management of forests, more efficient use of energy, especially at the point of end use in buildings, transportation and production processes, etc. Here, I want to focus more on the first two points because they are primary solutions to mitigate climate change in Africa. We have to increased reliance on renewable energy sources. We need to look at afforestation, reforestation and sustainable management of forests. We need more efficient use of energy, especially at the point of end use in buildings, transportation and production processes. How can we deploy biogas technology for household energy, in Africa, particularly in Ethiopia? Overall, a combination of continued strong policy incentives, adequate training for maintenance, construction and financial evaluation, and increased awareness of the benefits of biogas for cooking in order to overcome some of the cultural barriers is of a great importance for biogas uptake. All of these factors would be essential to increase the implementation and use of domestic biogas plants in developing countries.